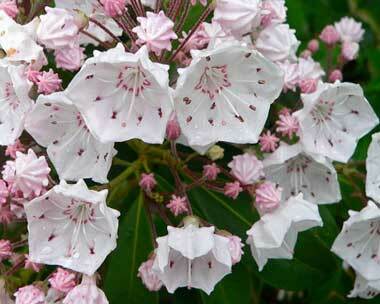 Mountain laurel is an evergreen shrub native to the eastern United States (from southern Maine to northern Florida and west to Indiana and Louisiana). 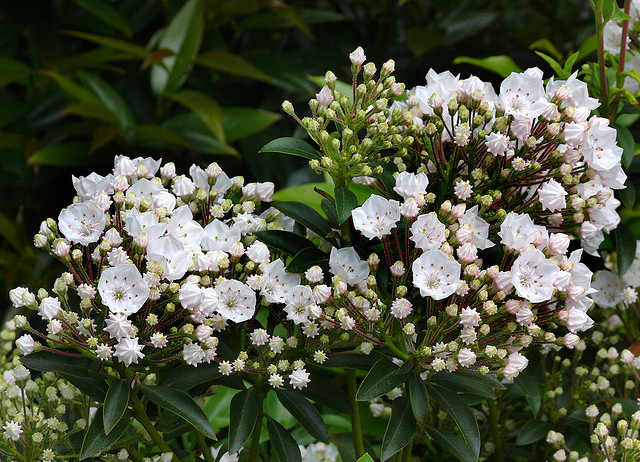 Mountain laurel is also called ivybush, calico bush, sheep laurel, lambkill, clamoun, and spoonwood (native Americans used to make spoons from the wood). 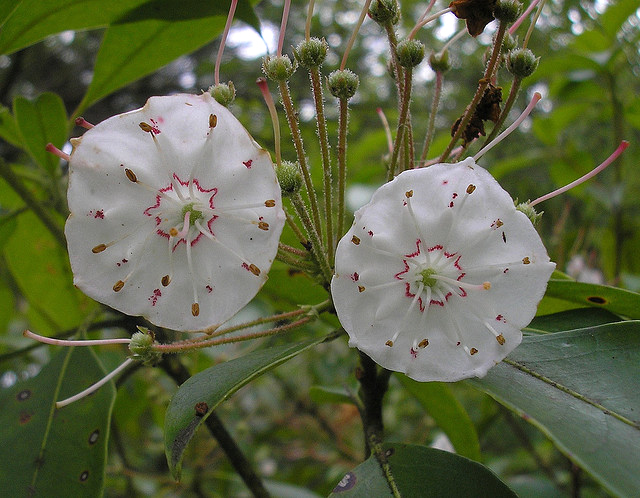 The mountain laurel is one of the most beautiful of native American shrubs and the fragrant star-shaped white and pink flowers have attracted travelers since early colonial days (first recorded in America in 1624). Mountain laurel flowers up close; photo by Nancy (Buttersweet) on Flickr (noncommercial use permitted with attribution / share alike). Mountain Laurel flowers (Kalmia latifolia 'Elf' #3); photo by James Gaither on Flickr (noncommercial use permitted with attribution / no derivative works).